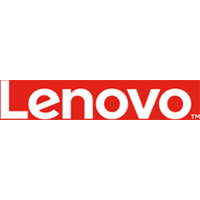 ● Lenovo periodically offers limited time free shipping deals. ● See the Deals section for current deals. For instance, you can get 50% off featured accessories. ● Check out the Outlet section in order to get discounts on used or refurbished items. You can save as much as 50% after applying the corresponding eCoupon. ● Lenovo’s Affinity Program allows large organizations to access discounts and other benefits. Lenovo is a computer manufacturer that has an array of different laptop computers available for you to take a look at on their website. You can also browse through software programs and accessories that you can purchase along with your computer. All you have to do is select “Products” from the navigation bar at the top of the website and choose the product category that you're interested in. They generally don't have any sales, though you can have a better chance of getting discounts around back to school season or Christmas. These sales can help you to get up to 67% off of every product on their entire site. For most up to date offers check out Lenovo on Facebook and Twitter or contact Lenovo Support for any questions.